The Carriage Club at Mt. Arlington offers residents the best of all worlds... a serene, yet convenient location in the heart of one of the state's most beautiful areas plus accessibility to a wonderfully rewarding world of shopping, culture and recreation. A wonderful lifestyleâ€¦ A wonderful adult rental. Situated in the beautiful hills of western Morris County, Carriage Club at Mt. Arlington is in close proximity to New York City as well as some of New Jersey's finest golf, fishing, cultural opportunities and excellent in-town or mall shopping. Carriage Club at Mt. Arlington is a luxury, active, adult rental community for adults 55+ offering spacious, comfortable living in one and two bedroom apartments. Carriage Club's amenities include a luxurious attached clubhouse featuring a beautiful indoor heated pool, state of the art fitness center, billiard room, library/business center, golf putting green, activities/clubs...all this and much more! All the amenities of a condominium without the cost of ownership! 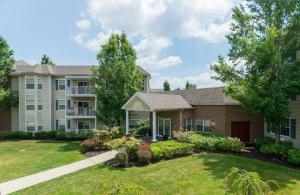 Call or come by today for more information about our wonderful community!